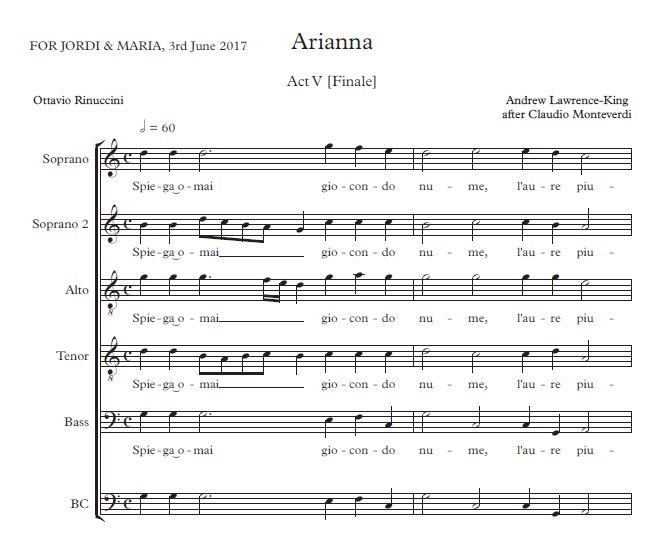 ← How – in what format- to remake Monteverdi’s Arianna? Dear Klaus, Thank you for your comment. 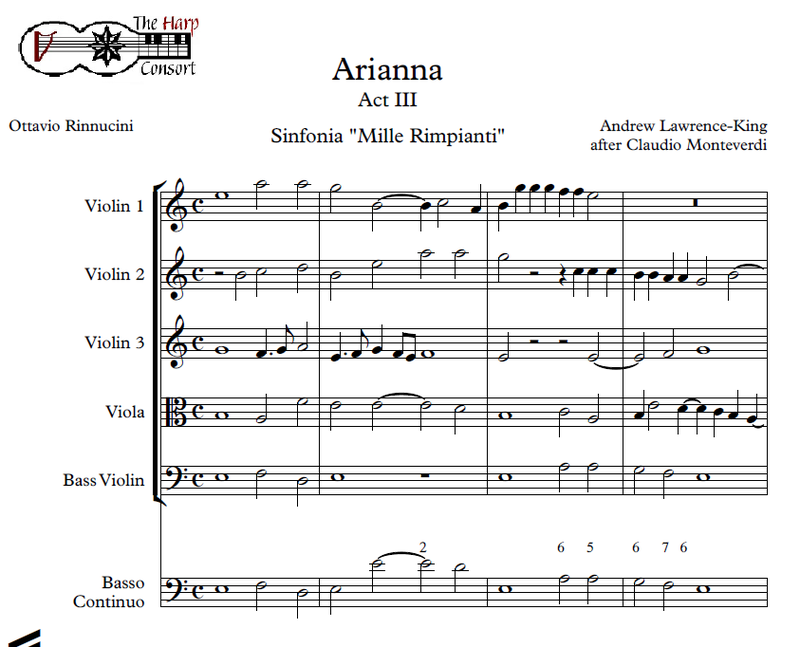 The Sinfonia “Mille Rimpianti” is a special case – as you will have recognised, it is based on Josquin’s well-known chanson “Mille Regretz”, the original being in a mode and 16th-century style little used by Monteverdi in his dramatic works. 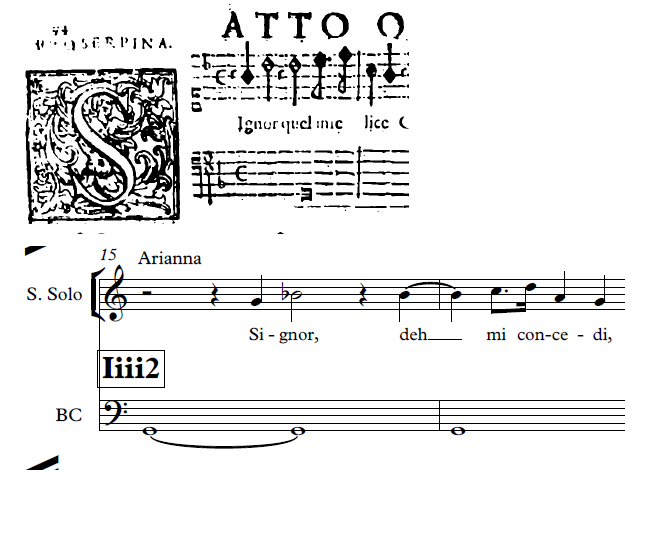 My take was to imagine Claudio making a 5-voice, seicento composition, citing Josquin’s work, employing Josquin’s points of imitation exclusively, but realising the polyphony in Monteverdian (rather than Josquin’s) prima prattica, bearing in mind that even the conservative polyphony of 1608 differs from its 16th-century models. 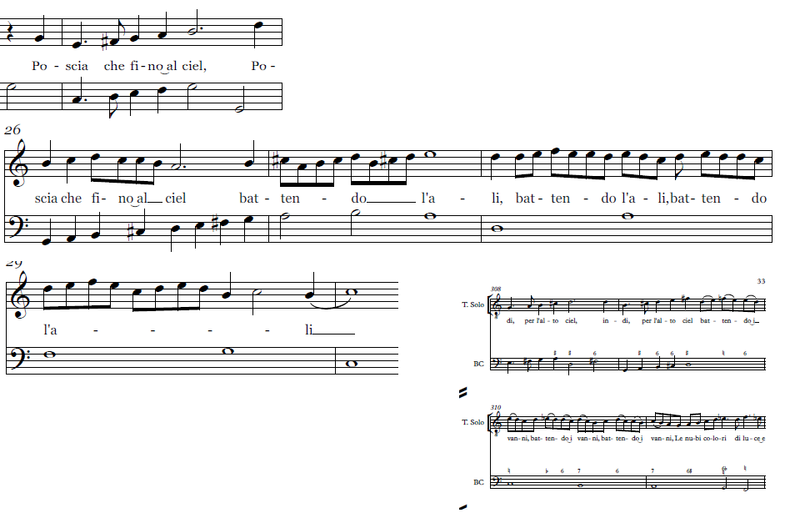 But I may also have made a misjudgement, or a mistake. 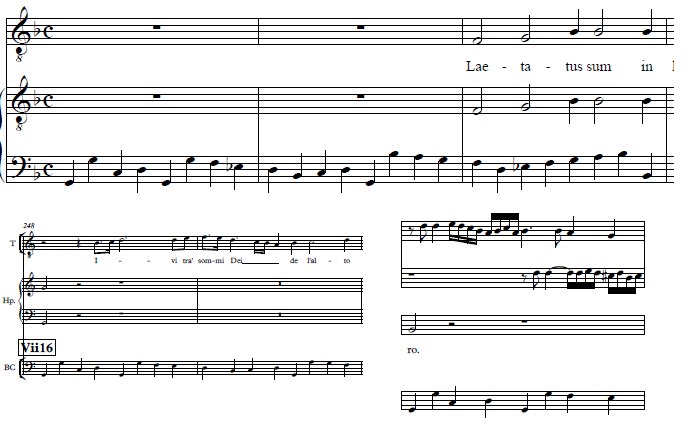 So I’ll look again at this bar, before we record it. And thank you for the comment. This kind of detailed, expert criticism is just what I hoped for, as a response to the project, and as a spur to improvements as the project continues to develop. Dear Klaus, And now I’ve looked, and you are quite right. 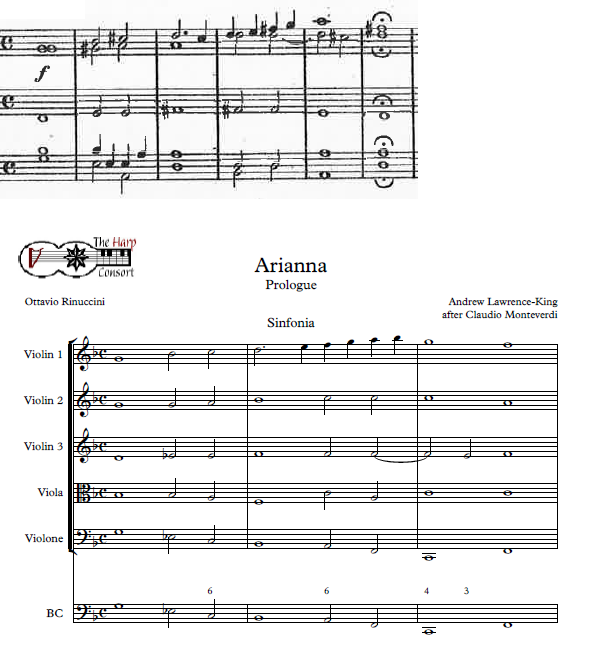 There are parallel fifths between second violin and bass, which Monteverdi would not have wanted. And neither do I, so I’ll fix them. 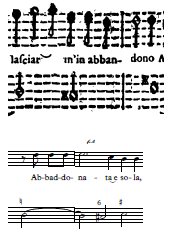 Josquin avoided the problem by having only 3 voices in the opening bars, and starting with a unison.